Before Lauren Aguilar began her freshman year of college, she had dreams of becoming a neuroscientist. 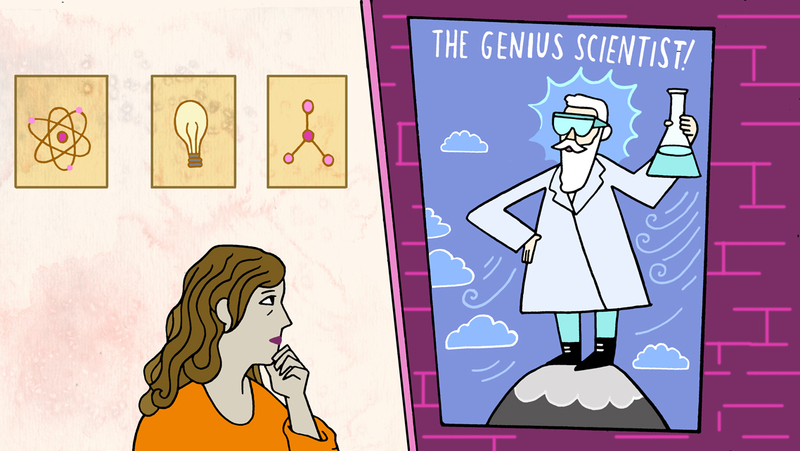 She remembers sitting in a lecture hall for her very first course, Chemistry 101. The professor had required the students to read the first chapter of the textbook before arriving. As someone with a passion for STEM who had excelled in high school, Aguilar had been confident the course was going to go well. The professor began the class with a demand: Anyone who didn’t understand everything in the first chapter perfectly should immediately drop the class. This out-of-place feeling is not uncommon in STEM and contributes to the lack of diversity in STEM fields. The NSF’s 2018 STEM Inclusion Study showed that women and racial and ethnic minorities, as well as those who identify as LGBTQ and those with disability status, report more feelings of marginalization and experiences of exclusion in STEM fields compared to white men. 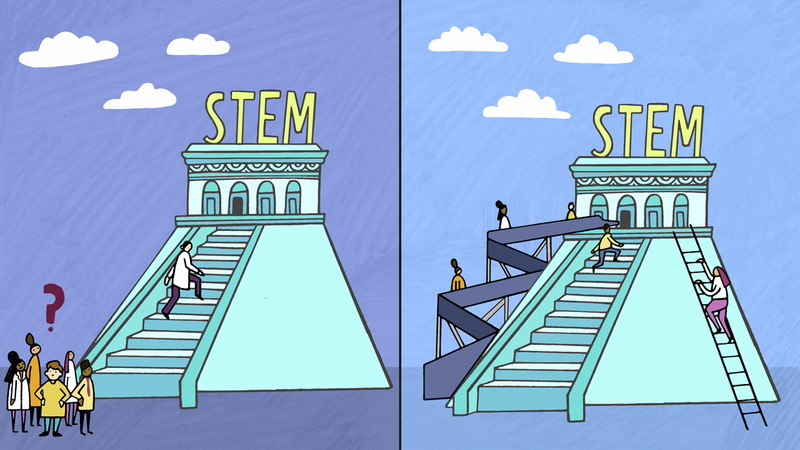 The experience didn’t derail Aguilar’s dreams of a career in STEM. Instead, it propelled her into another field: social psychology. She wanted to try to understand what leads some people to feel like they belong in certain fields where others don’t, and how that leads to things like career engagement, learning outcomes, teamwork and innovation. Aguilar is now a diversity and inclusion consultant, helping organizations, many of them STEM related, create cultures of inclusion and belonging. As part of her postdoctoral research at Stanford University, Aguilar collaborated with her advisor, Greg Walton, an associate professor in the department of psychology, and Nobel Laureate Carl Wieman, a professor in the department of physics and in the Graduate School of Education, to bring insights about STEM education to the field of physics and give educators tools to increase diversity in the field. In 2014, they published a paper called “Psychological insights for improved physics teaching” in Physics Today. One important insight drawn in the paper, Aguilar says, is the idea of a “growth mindset,” which originated with Stanford psychology professor Carol Dweck in her book Mindset. 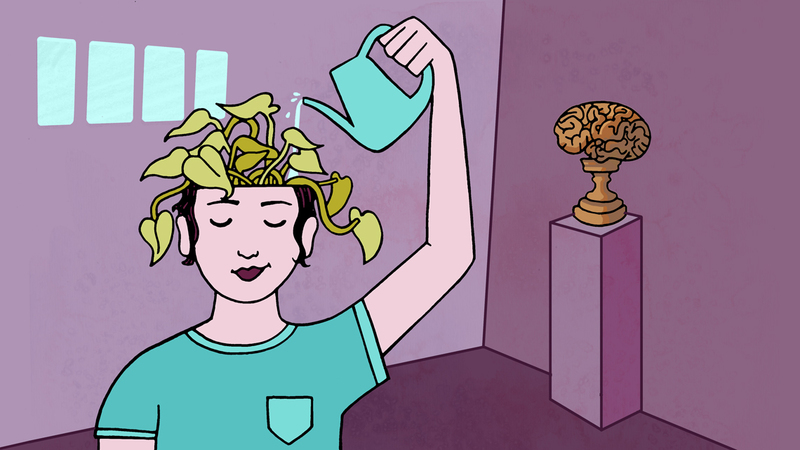 “Growth mindset is a set of beliefs that talent, intelligence and skill can be grown and exercised like a muscle, rather than being fixed or innate, like eye color,” she says. “If you have a fixed mindset, the most important goal is to prove your intelligence at all costs. When you run up against dead ends or are struggling and putting a lot of effort into something, it threatens your view of your intelligence and makes you fear that other people might find you out. In her research, Dweck found that these two mindsets lead to different learning processes and outcomes, causing people to engage in learning in very different ways. According to Aguilar, studies have shown that fixed mindsets are much more prevalent in STEM fields than in liberal arts. In more mathematical sciences such as physics, Wieman says, the idea that the skills required to succeed are innate is particularly persistent. Allison Olshefke, a recent physics graduate from the University of Notre Dame, believes that the idea that physics skills are innate has a lot to do with the history of the field. “I think there’s just this historical idea that the people who have made it really big in physics and have lasted through the ages were just inherently brilliant,” Olshefke says. “So that became what was valued as what was needed to make those kinds of contributions. But despite the pervasiveness of the idea that STEM skills are innate, discoveries in science are more often than not a product of hard work and collaboration, as evidenced by the recent discoveries of gravitational waves and the Higgs boson by experiments made up of thousands of scientists each. And, Olshefke adds, it’s not as if people are born with the ability to do calculus. 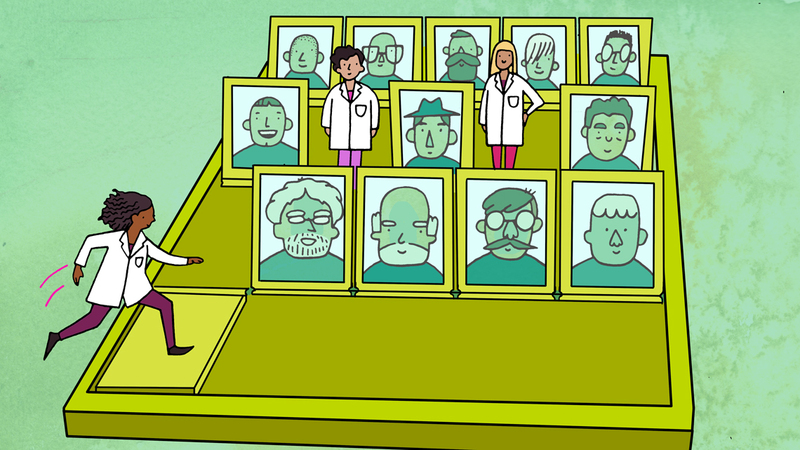 In an article called ‘The cult of genius,’ Julianne Dalcanton of the University of Washington says that in physics, there’s no more damning phrase than saying someone is a “hard worker.” In general, Kilburn says, our society is much more likely to view white and Asian men as brilliant, and women and other underrepresented minorities as hardworking. Olshefke, who will soon begin a graduate program at Notre Dame to become a high school math teacher, spent a lot of her undergraduate career doing physics education research. Olshefke met Kilburn at a luncheon and found that the questions she was asking about gender diversity in physics and STEM resonated with her own experiences as a woman pursuing physics. Olshefke became involved with a study Kilburn was doing in which they evaluated letters of recommendation written by high school teachers. They had seen in previous research that in academic letters of recommendation, there are language differences based on the gender of the applicant. They looked at letters of recommendation high school teachers had written for Notre Dame’s high school programs from 2013 to 2017. They looked through more than 1700 applications, pulling out words from categories that had been pointed out in previous research to try to identify differences between letters written for men and women. “We ended up really only focusing on two of the categories: grindstone words and ability words,” Olshefke says. “Grindstone words describe students as working hard, putting in a lot of effort, while ability words describe natural talent and innate skill. This idea that women are described as working hard more often and men were more likely to be described as innately talented was reflected in the letters that we read. A fixed mindset can keep programs from admitting a diverse pool of candidates, and it can also drive candidates away, Aguilar says. When a STEM field or a particular STEM department, research center or firm espouses a fixed mindset, research shows that women and underrepresented minorities feel less trust in that organization. This sentiment resonates strongly with Olshefke, who was one of only three women physics majors in her year. Olshefke remembers a time in high school when she was passed up for an “outstanding physics student” award because her teacher felt she didn’t ask enough questions in class. One way to confront the issue of inequalities in STEM is by having conversations about the experiences of women and underrepresented minorities in physics. When organizations have this growth mindset, Aguilar says, individuals from underrepresented backgrounds feel like they are going to be seen as individuals, not stereotypes, and respected and valued for their own contributions. They feel like they’ll have a chance to learn and grow. Aguilar adds that the research has shown that diversity leads to better decision-making and more innovation. She cites a research study done with juries that compared one jury of all white jurors to another of mixed races. The juries had been asked to listen to a case and make a decision at the end. The researchers found that the more racially diverse juries actually considered more of the facts of the case in their deliberation and reached a more accurate or fair decision. In physics in particular, Kilburn says, having more diversity and inclusion could lead to new frames of thought and revolutions in our understanding of the universe. Kilburn adds that creating a more inclusive culture in STEM will not just increase diversity in the fields but will also enable others to have an appreciation for it as well. 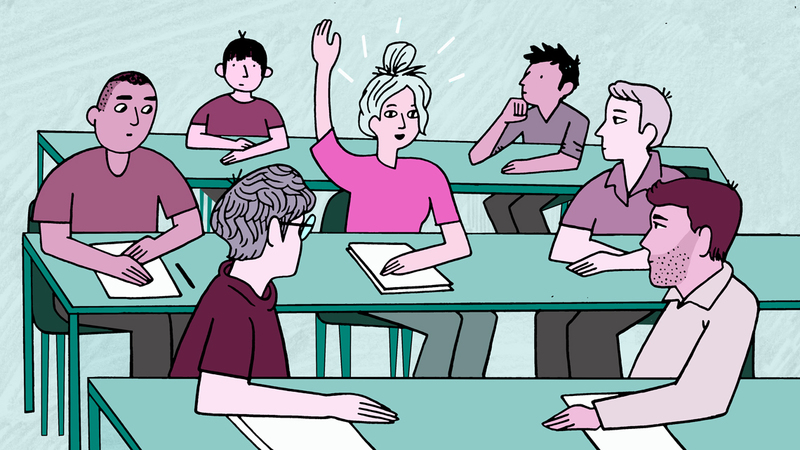 “As soon as you tell somebody that you’re a physicist,” she says, “some of the most common responses are ‘I hated that class,’ or ‘I could never do that, you’re so smart.’ All students enter and leave the field with different proficiencies, but they all are capable of learning and appreciating the subject more. According to Wieman, everyone, regardless of their career, will be able to make better decisions if they have some understanding of STEM and how to use it. “Our way of life is so based on technology that one is regularly confronted by issues at work and home where STEM can help a person make better decisions,” he says.